If you would like to fundraise for us we have set up an account at MyDonate under the name of Friends of the Flitch Way and Associated Woodlands. ​Since we formed ourselves into a Charity we have needed to generate funds to allow us to operate. Listed below is a list of where the main grants and funding have come for each year. 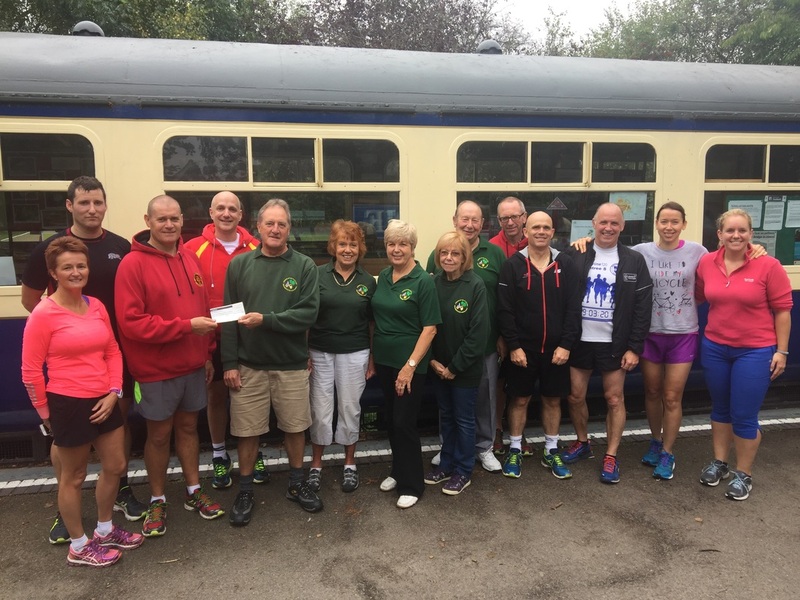 Hare & Tortoise Running Ltd donated £258 - £1 for every runner who has participated in one of their organised events along the Flitch Way in 2018. The money will be used to help with the maintenance and upkeep of the Flitch Way. ​Grace and Josh Meehan of the Booking Hall Cafe donated £500 from the Rayne Free Festival held in July 2018. The money will be used to update and provide new information boards. ​David kindly donated £110 and a Class 31 Diesel model locomotive for the Carriage Museum. The money was used to improve the model railway within the museum. ​On 29 June 2017 we received a grant of £3,500 from the Essex Community Foundation (ECF) to professional waterproof the roof of the Carriage Museum. The grant was awarded from the Yellow Car Charitable Fund (£2,500), the Essex Life Charitable Fund (£722) and the Acorn Fund (£278) which are administered by ECF. ​Grace and Josh Meehan of the Booking Hall Cafe donated £300 from the Rayne Festival held in July 2017. The money will be used to fund the publication of the new version of the Flitch Way information guide. Josh and Grace Meehan of the Booking Hall Cafe kindly donated £402 from the Rayne Festival held in July 2016. Braintree & District Athletics Club raised over £1400 for the Friends as part of the Braintree 5 mile event held in April. Click here for details of the 2016 event. On February 28th a group of Great Dunmow Beavers completed a sponsored bike ride on the Flitch Way from Rayne to Flitch Green and raised £253. Tescos customers voted for our project in the Tesco "Bags for Help" scheme and in March 2016 we were awarded £12,000 to help us improve the Langford Halt area of the Blackwater Rail Trail near Maldon. Josh and Grace Meehan of the Booking Hall Cafe donated £400 from the Rayne Station Festival which was used for new carpets in the Carriage Museum. 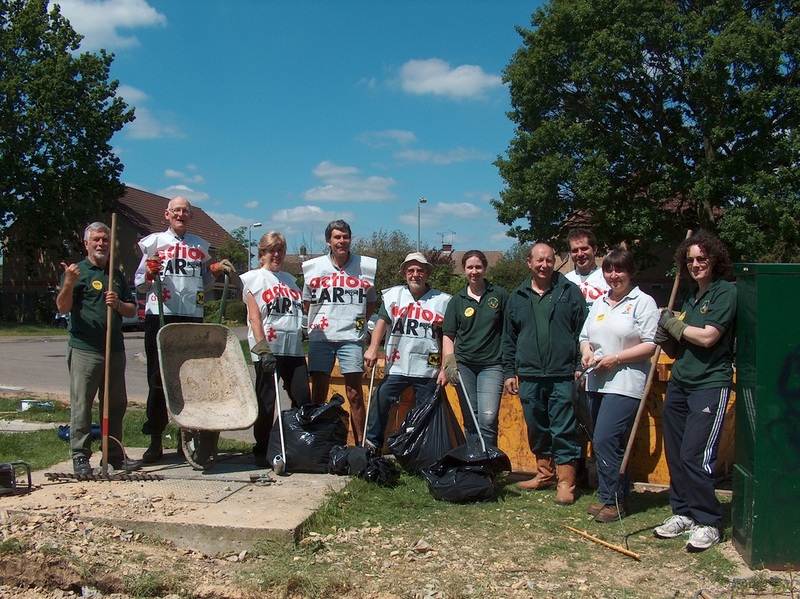 ​On 30 December 2014 we received a grant of £2,500 was obtained from the Essex Community Foundation (ECF) to support conservation work along the Flitch Way and surrounding areas. 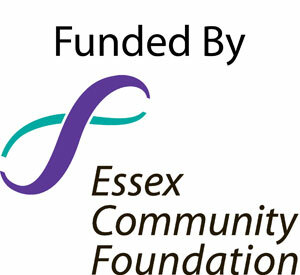 The grant was awarded from the Greenfields Community Fund (£1,000) and the Essex Rural Fund (£1500) which are administered by ECF. A grant of £3,004 was awarded from the Big Lottery Fund for our project "involving the wider community in volunteering in the outdoors". This grant will allow us to equip our current and new volunteers with the appropriate protective clothing, tools and training as well as covering travel expenses to the sites where our work is carried out. A cheque for £300 was presented to Stan Davies from Rob Branch of the Booking Hall Cafe being the proceeds of the fundraising at the Rayne Station Festival in July 2013. Wendy Moss successfully secured a grant of £1,500 from the Community Grant Scheme for the improvement of the car park and picnic area at High Cross Lane and the purchase and installation of an interpretation board and bench on the site. Wendy Moss secured funding from both Dunmow Council and Uttlesford District Council under the Community Grant Scheme for a total of £3,628 to create two Station Halts, install 15 more benches along the Flitch Way and install a bench and interpretation board at Dunmow Cutting. We received a grant of £700 from Stansted Airport Passenger Community Fund. This is to help towards the cost of the printing and art work for the Flitch Way leaflet that has been created by Stan Davies. This leaflet has proved to be very useful and sought after by visitors to the Flitch Way. Stan Davies successfully applied for funding of £1,800 from Co-operative Community Fund Award to enable us to continue to undertake important environmental work along the Flitch Way and to provide our volunteers with essential safety equipment. Wendy Moss made a successful application to Greenfields Housing for funding of a woodchipper, wood processor, trailer, tools and safety equipment for the volunteers with a grant of £33,470. Stan Davies managed to get a grant from Stansted Community Fund to allow us to buy display boards. These boards will be used to advertise our group at fetes etc. We received £1000 from Braintree District Council, as the result of the Knights Development at Haslers Mill, Rayne. The money was used to fund safety equipment. Thanks to Mike Banthorpe and Pete Lane. 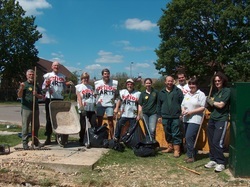 Jo Fish managed to get a grant of £50 from Action Earth to enable us to buy litter pickers for the group. 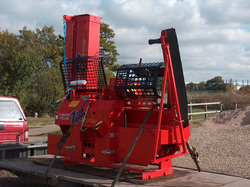 We were awarded £200 from the Dunmow Mayors Fund to use towards general brushcutter expenses. Pete Lane managed to secure £2000 from Community Champions. The funds were for general running costs/training courses/clothing etc. We were awarded £1,000 from the Co-Operative Bank. This money was spent buying waterproof trousers, steel toe-capped Wellington boots and other equipment to help our cause.